If You Don't Have An Email List, Better Get Started! 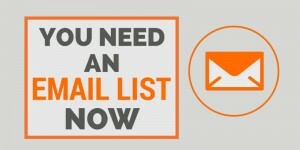 One of the most powerful tools we have in online marketing is an email list. Because it enables you to market directly to the inbox of your future customers. Apart from an SMS, what else gets your attention more than a new email? Ok, a screaming child wins hands down, but you get the idea. Where is My Email List? You have a website – check! You have a few social media accounts – check! You even blog occasionally – check! No? Then it’s time to get one. All those wonderful visitors to your website come once, and then…leave. Never to return. Well, almost never. But if you coax them onto your email list, you can always contact them, and bring them back. Again and again. So now you want one, right? 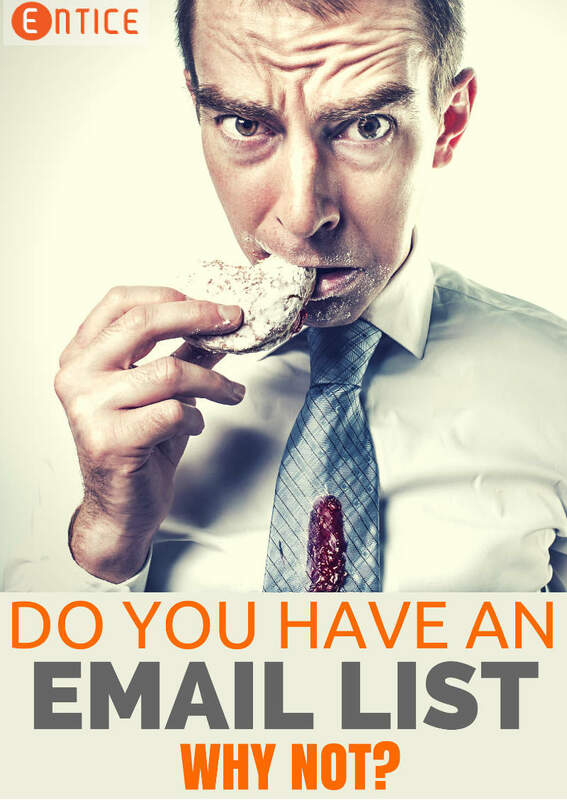 Some people will boast of the size of their email list, but don’t get email list envy. But there are email lists…and then there are focused email lists. It’s the quality of your email list that matters. You want people on there who are opening your emails and reading them. If they click on the links inside, even better. That means they are really interested. So what we are really talking about here is quality over quantity! There are a few steps you need to take to get an email list up and running. For extra points, create some specific landing pages and put optin forms on there and market to those pages (for advanced users). But don’t let me put you off. All good things take some effort. If all of that sounds a little complicated, then I know a guy who might be able to help you…sorry just kidding, we can help! One of the services we offer at Entice is called Lead Generation Boost, where we can help you set all this up and more, and start getting customers coming to you! Build an email list while you sleep and, slowly but surely, get a list of potential customers who can’t wait to hear how you can solve their problems. Check out Lead Gen Boost and see how we can help you get more customers.